Chicago’s first skyscrapers are famous for projecting the city’s modernity around the world. But what did they mean at home, to the Chicagoans who designed and built them, worked inside their walls, and gazed up at their façades? Answering this multifaceted question, Chicago 1890 reveals that early skyscrapers offered hotly debated solutions to the city’s toughest problems and, in the process, fostered an urban culture that spread across the country. An ambitious reinterpretation of the works of Louis Sullivan, Daniel Burnham, and John Wellborn Root, this volume uses their towering achievements as a lens through which to view late nineteenth-century urban history. 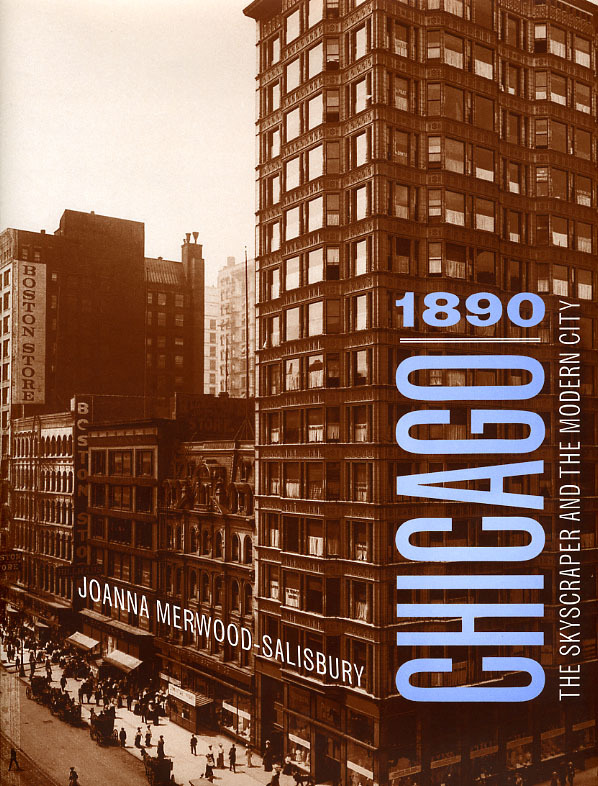 Joanna Merwood-Salisbury sheds new light on many of Chicago’s defining events—including violent building trade strikes, the Haymarket bombing, the World’s Columbian Exposition, and Burnham’s Plan of Chicago—by situating the Masonic Temple, the Monadnock Building, and the Reliance Building at the center of the city’s cultural and political crosscurrents. While architects and property owners saw these pioneering structures as manifestations of a robust American identity, immigrant laborers and social reformers viewed them as symbols of capitalism’s inequity. Illuminated by rich material from the period’s popular press and professional journals, Merwood-Salisbury’s chronicle of this contentious history reveals that the skyscraper’s vaunted status was never as inevitable as today’s skylines suggest.